This is an ambient decor lighting that illuminates walls and objects from underneath, allowing color to be projected into areas to create drama and add warmth to the space. Spotlights that focus on guests tables or other visual elements by casting direct light onto them. Lights that cast a glow of colored light or white light on tables, ceilings as well as architectural columns. Moving lights of various colors and patterns to create high energy and paint a room in color. These lights can be set in one color and illuminate the room in a single color throughout or can be switch colors and paint the room in multiple colors. Parcans can be placed strategically around the tree in one or more colors to create drama and warmth. 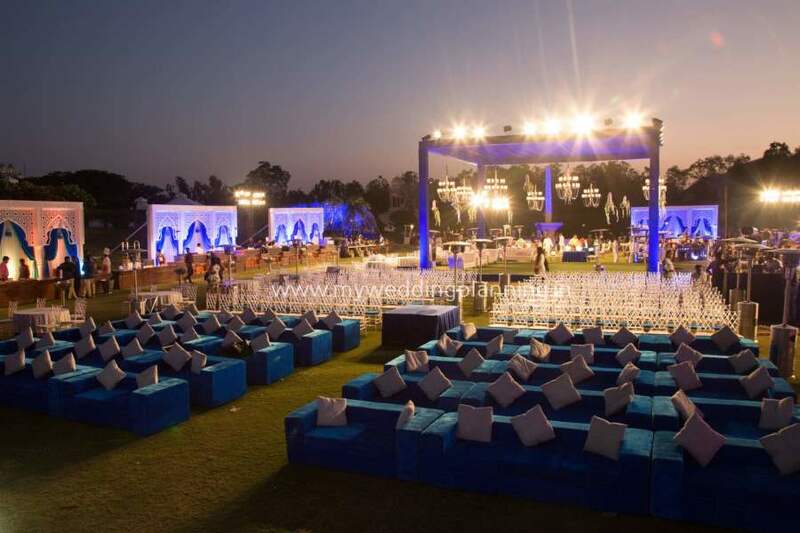 In case there is a water body near the venue like a fountain or pond, floating candles and diyas can be used to illuminate the place as well as add a wow factor. Using diyas (oil diyas or electrical/ battery operated ones) to create a unique rangoli of lights can be quite the center of attention of your decor. A lot of destination wedding in Rajasthan and especially at Goa incorporate the use of make a wish lanterns or chinese lanterns as it is a sign of love and not to mention, it looks fabulous! Fireworks display is most common during the jaimala. Lately the trend of using fireworks during the bride and groom’s entry and also during sangeet performances is getting very popular. Sparklers can also be used in wedding photographs. Gobo lighting meaning goes in between lighting is when a metal perforated with a design is placed in front of a lighting source and used to control the shape of emitted light. 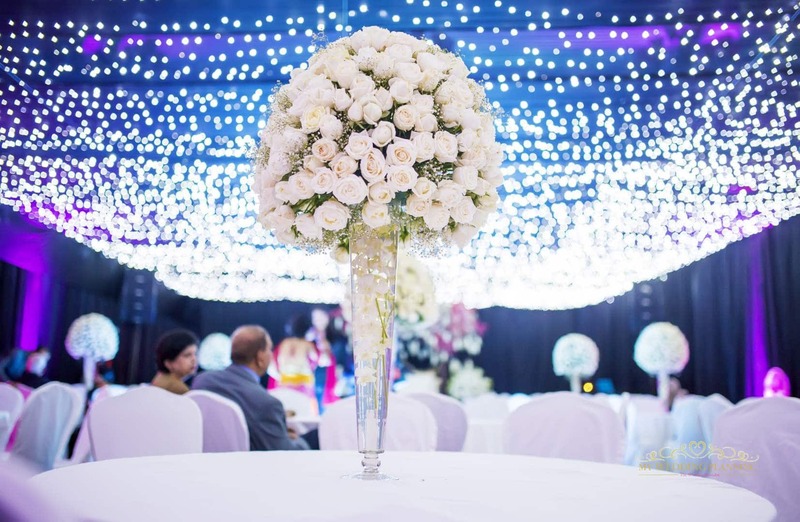 At weddings the most common way of using Gobo lighting is for projecting the brides and grooms initials or names on the walls or on a screen. If you have more ideas, we are all ears! Please share your ideas with us in the comments section below.